Mainz have announced they have parted ways with coach Martin Schmidt at the end of a disappointing 2016-17 season. Schmidt, who took over the side in February 2015, saw his team pick up just two wins in their final 12 matches of the campaign to tumble down the table and finish out of the relegation/promotion play-off place only on goal difference. It marked a stark contrast to the 2015/16 campaign in which Schmidt, whose contract was due to expire at the end of the 2017/18 season, guided the club into the Europa League with a sixth-placed finish. 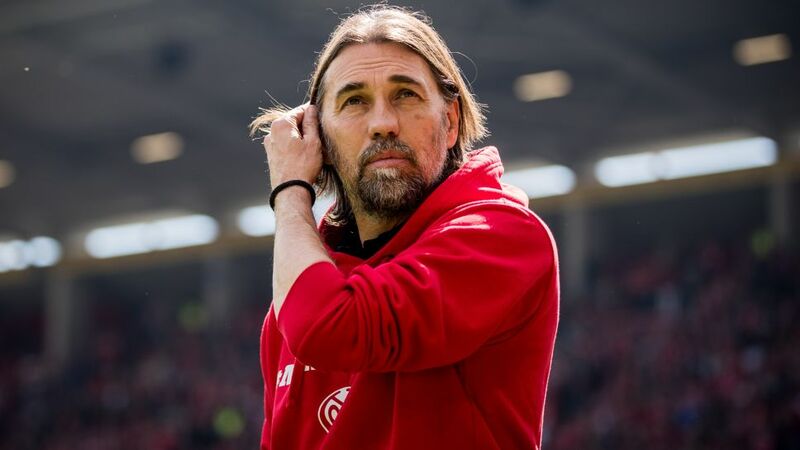 "The mutual and amicable end of our collaboration came after very open and honest discussions with Martin Schmidt on Sunday evening," Mainz's sporting director Rouven Schröder said in a statement. "After this difficult season, we need a new impulse and medium-term prospects of development which we didn't have with this set-up." Schmidt, whose assistants Peter Perchtold and Sören Hartung will also leave the club, had previously coached the club's reserve side before stepping up to fill the vacant first-team position following Kasper Hjulmand's departure. The club are now searching for a successor, but will take their time before deciding on the right man. "My wish is to quickly settle this question, but we will not be driven by external factors," Schröder said. "The experiences of this season teach us that we should make important decisions calmly as we have no margin for error." Click here for more Mainz news.